“What’s a Sheepie,” you ask? Well, it’s a sheep. A cute sheep. 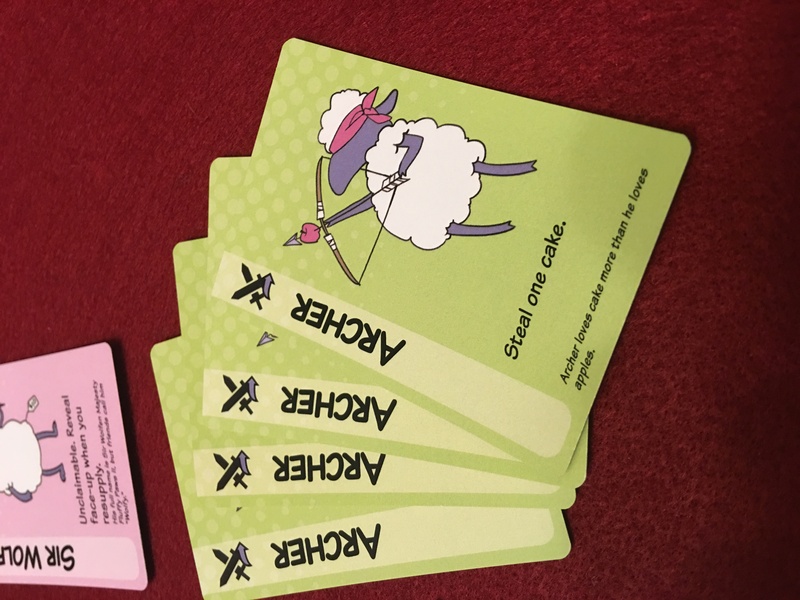 In Cake Duel, a small card game from first time creator Sizigi Studios, two players battle it out using their team of Sheepies to acquire the most victories out of five rounds, or “bouts” as the rules call them. 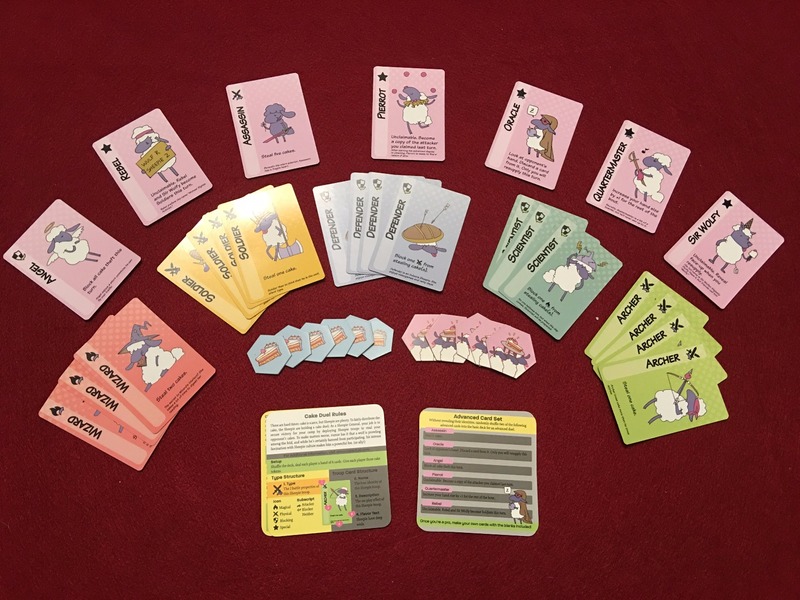 In each bout, players take turns being the attacker and defender, each time playing cards face down and possibly lying about them. 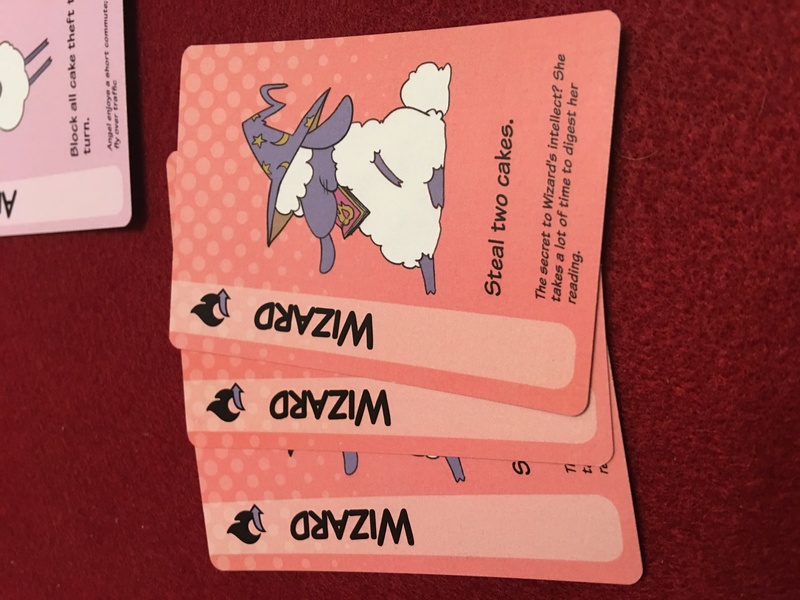 You could easily be playing a Soldier card and a Defender card, but claim them as two Wizard cards to steal four cakes! If you steal all of your opponent’s cake and they don’t block you or challenge your claim, you win that bout! 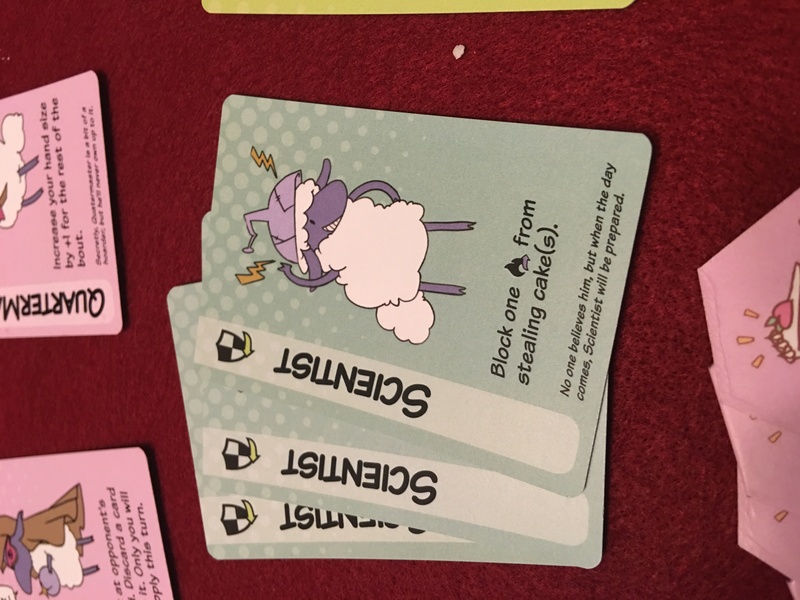 But the defender could also be lying and claim that he has two Scientists, thereby blocking the two Wizard cards. If you pay attention to the cues your opponent gives or the number of cards in the game, you can deduce if they are bluffing. If you call them out on their bluff, you win the bout! 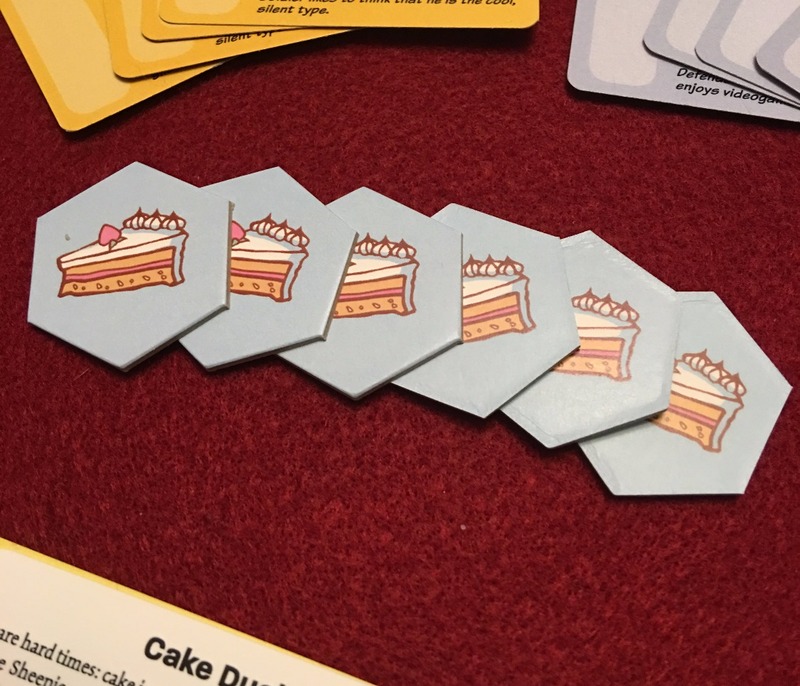 Cake Duel is very easy to pick up once you comprehend the rules. There are a few how-to-play videos and we recommend watching those instead of reading the rules. They explain the game a little better than the rules, which did take several reads for us to fully comprehend. And we had some confusion when it came to using the advanced roles, but a quick email to Cory at Sizigi Studios cleared those up. Thanks for the quick response! However, you’ll have no problems remembering how to play thanks to simple, but fun, mechanics. Cake Duel is a very quick game. You can finish a game in less than five minutes. For us, that meant immediately wanting to play it again once it was over. It’s also small and very portable. 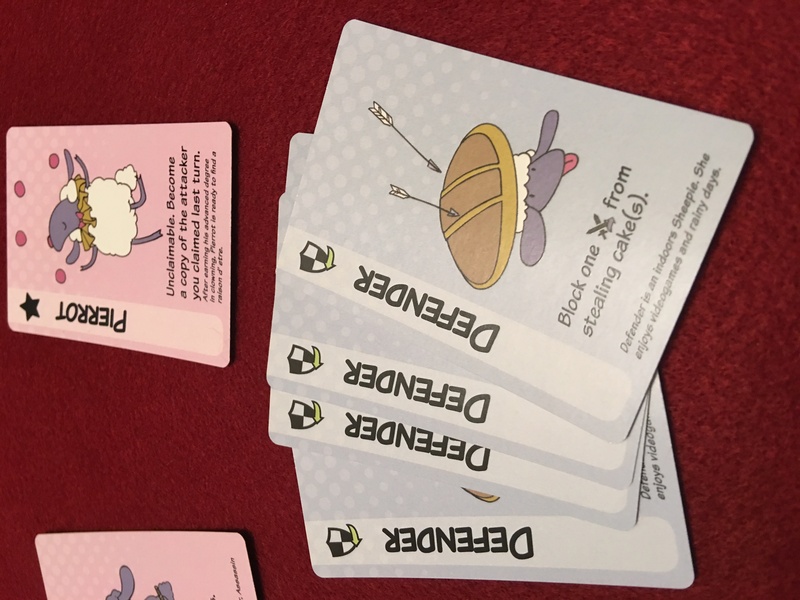 The Kickstarter edition comes with a pouch you can keep everything in, though we love the adorable Sheepie box. One of the things we really like about the game is that you really have to focus. For example, if you don’t pay attention to how many cards of a certain type have been played, your opponent can get by with bluffing much easier. Also, you need to know if you are going to bluff and what you are going to claim as soon as it’s your turn. If you take too long, your opponent will know you are bluffing! Or, you could intentionally stall to make your opponent THINK you are bluffing. These instances, along with others, make this game much deeper than what it appears on the surface. 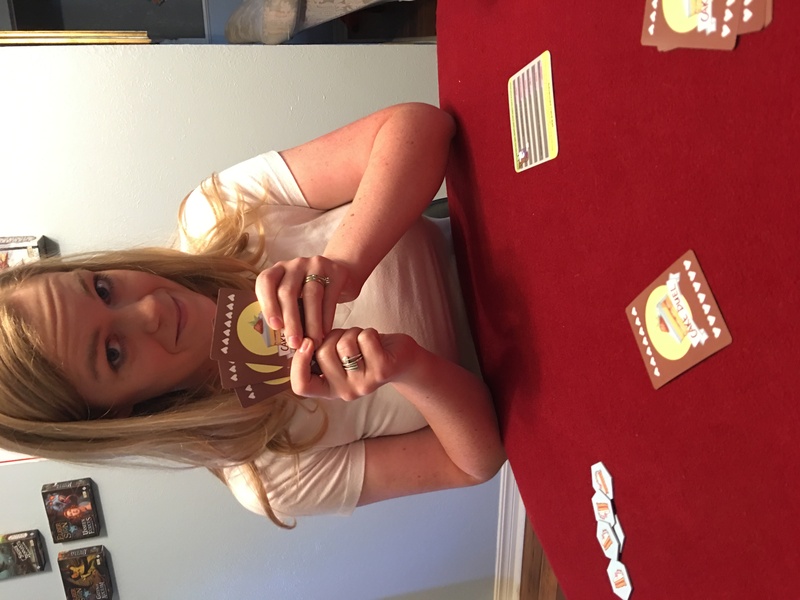 As a two player game, Cake Duel works perfect for couples. It really tests your knowledge of your significant other. Can you tell when they are lying? Can you read their facial expressions? Can you look them in the eye and claim two soldiers when you really just have a Sir Wolfy and Defender!? We love Cake Duel. We laughed. The side eye was given many times. Fists were clenched. And cake was stolen. 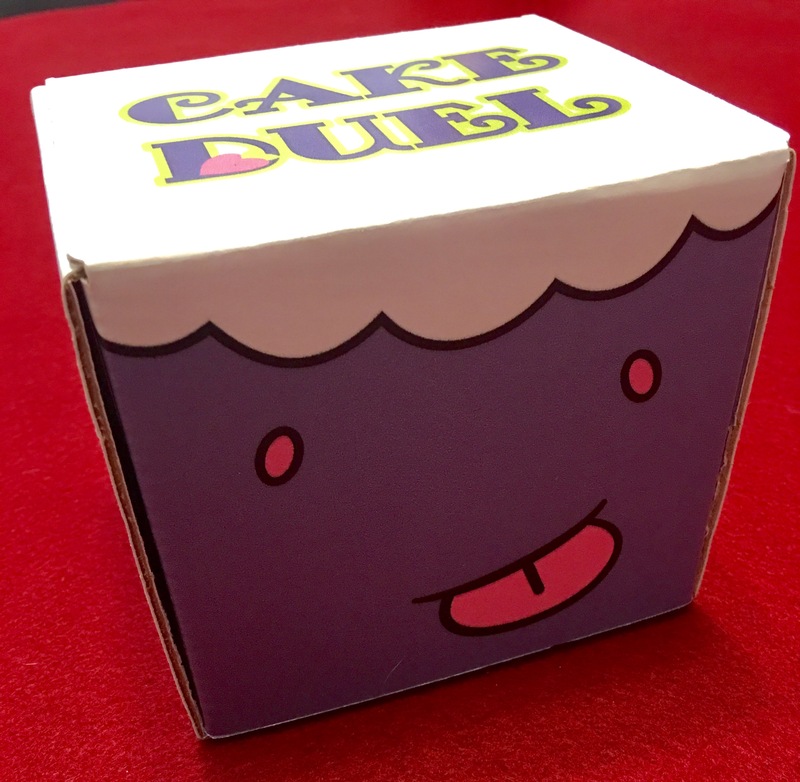 If you are looking for a two player game that does bluffing well, we recommend you take a look at Cake Duel. 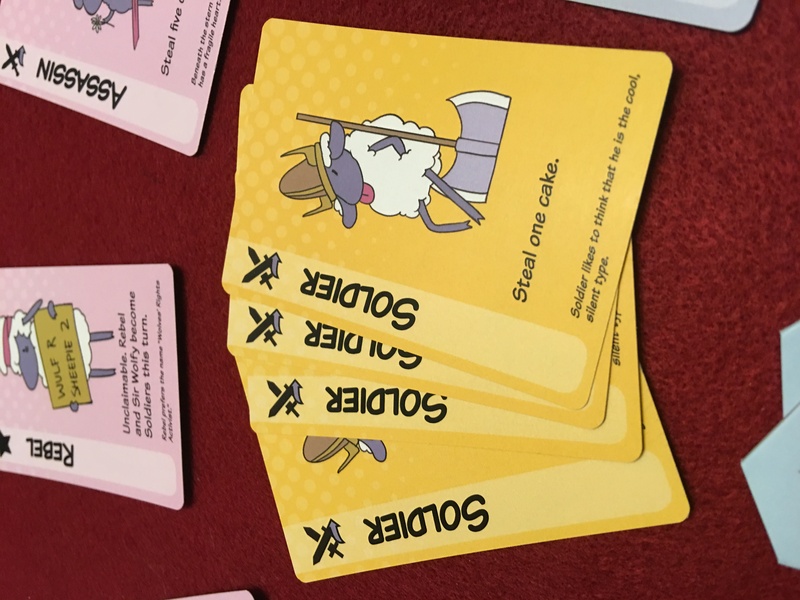 Cake Duel is currently on Kickstarter.